At Brenwood we are dedicated to providing you with the very best cosmeceutical-grade homecare and professional in-clinic treatment products. Ultraceuticals is well recognised in the industry as a leader in developing award-winning breakthrough cosmeceutical skincare products without animal testing. They are very proud to have been accredited as 100% Cruelty-Free by the internationally recognised organisation Choose Cruelty Free (CCF). Before starting your skincare journey with we recommend our Complete Skin Consultation with our Ultraceuticals Skin Expert who can prescribe the best products and treatments for your skin type. The Australian climate is one of the harshest and most diverse climates in the world. Australia has the highest incidence of skin cancer and premature skin ageing, and photo damage is very prevalent. 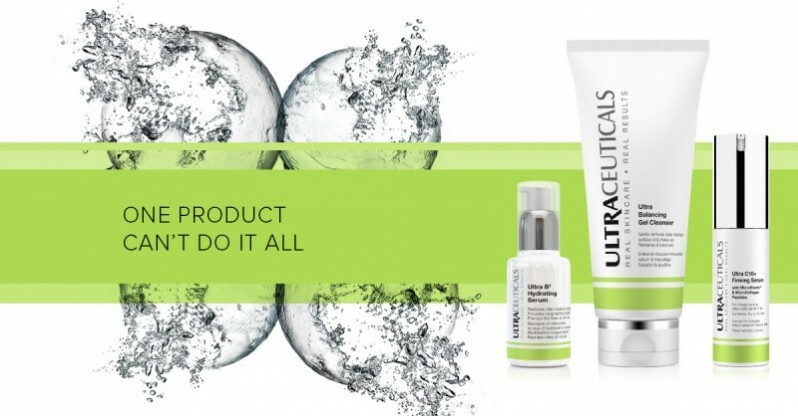 Entirely Australian made and owned, Ultraceuticals contains high levels of active ingredients in tested formulations to provide effective products. The range of professional-grade products and in-clinic treatments address major skin concerns such as premature skin ageing and pigmentation that are a result of photodamage. Sun Protection is at the forefront of Ultraceuticals research and development with a comprehensive range of products for every lifestyle need. At Brenwood are committed to providing products that work to address major skin concerns: signs of ageing, acne, redness & pigmentation. Ultraceuticals is the ideal partner for both homecare and clinic treatments.